Robert “Bob” Lee Schley, 82, of Forestville died at the Algoma Long-Term Care Unit after a lengthy struggle with numerous health issues. He was born in Algoma to Leonard and Leone (Krueger) Schley. Bob attended St. Peter’s Lutheran Grade School in Forestville and graduated from Algoma High School in 1954. After high school, he joined the family’s cheesemaking business in Forestville and Lincoln. On August 10, 1963, he married the love of his life, Nila M. Kramer, at St. Peter’s Lutheran Church in Forestville, and together they raised three children. Bob and Nila owned and operated many area businesses through the years, including Tasty Bob’s, The Breakwater Restaurant and Bob’s Beer Depot among others. He also spent several years driving a school bus for the Southern Door School District. Bob was an active member of St. Peter’s Lutheran Church for his entire life and served the congregation in many capacities. Through the years, he taught Sunday School and was on the church council, serving as an elder and president. His strong faith was always important to him. 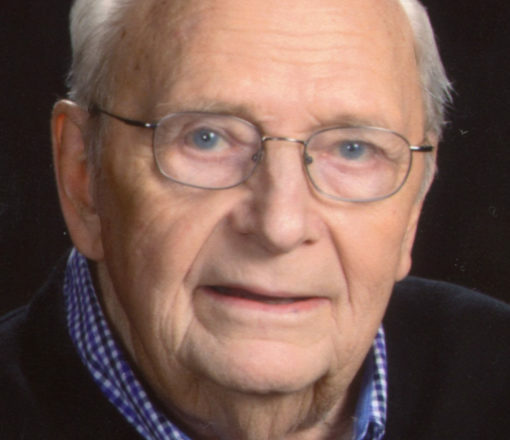 In his spare time, Bob enjoyed assisting his son with farm work, watching the Brewers and Packers, gardening, cooking and spending time with many wonderful friends and relatives. He especially enjoyed his grandchildren and treasured his role as “Grandpa Bob.” He was blessed with a loving sister, nieces, nephews and cousins who always held a special place in his heart. Bob will be remembered as a kind, generous man with a good sense of humor. Survivors include his wife; three children, Stacy (Al) Leonard, Medford, Wisconsin; Michael (Mary) Schley, Forestville; Shelly VanDenBogart, Mayville, Wisconsin; seven grandchildren, Andrew (Cassandra) Leonard, Taylor (fiancée, Kelsey) VanDenBogart, Joel Leonard, Leah Leonard, Jacob VanDenBogart, Emily VanDenBogart, Hannah Schley; in-laws, Donald Krueger and Margaret Kramer; aunt Mary Feld; and many nieces, nephews and cousins. He was preceded in death by his parents and a sister, Carol Krueger. Funeral services will be at 11 am on Monday, April 15, at St. Peter’s Lutheran Church in Forestville, with Rev. Christopher Jackson officiating. Burial will be in the church cemetery. Visitation will be from 3 to 7 pm Sunday at the Forbes Funeral Home in Sturgeon Bay, and from 9:30 am until the time of the service at the church on Monday. A prayer service will be held at 5 pm at the funeral home on Sunday. Special thanks to all of those who provided such excellent care to Bob during his illnesses.